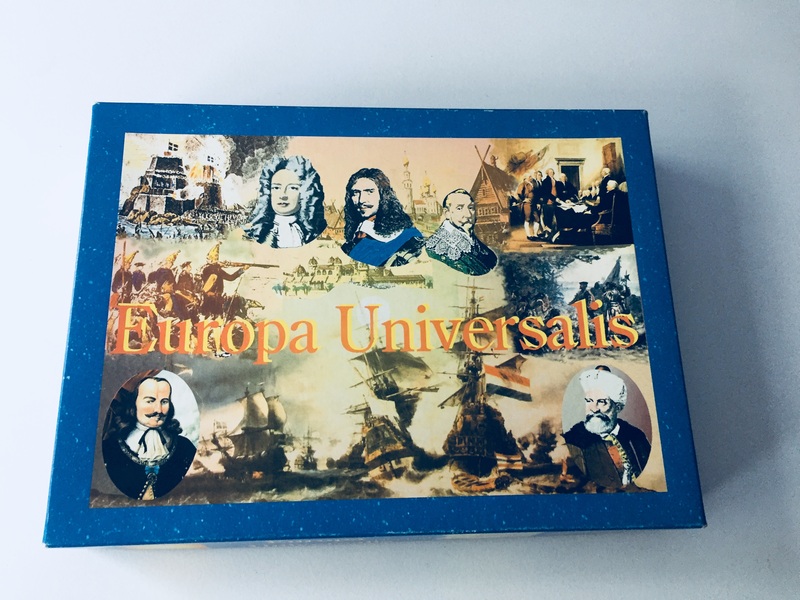 Today it has been 25 years since the first EU boardgame appeared in shops in France. A few months later it reached the other countries, before becoming almost 7 years later the computer game that we know (and which changed a lot since I adapted it for Target Games at the time). The game had been in development for quite some time before this official release, as the first real sample is from the early 90’s. 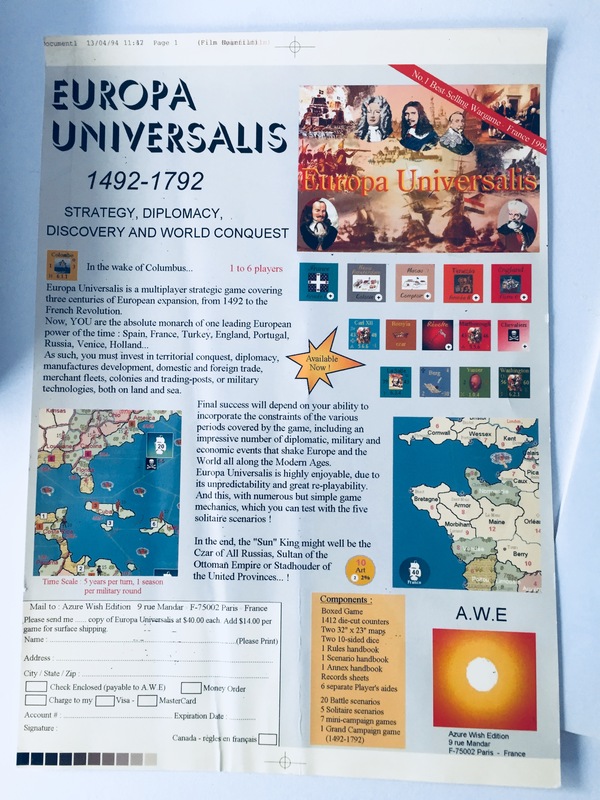 And I even found back a prototype – called East India Companies - I had made back in 86-87 which was somewhat of a precursor of Europa. Hmm, so much to learn about the history of gaming. I do hope some fellow with better knowledge than I possess writes a history, brief or conclusive of the transition of board wargaming to computer gaming. The Diplomacy game was one of my earliest transitions. By coincidence I have my copy of Paradox's version of Diplomacy to hand wondering whether to re install it just to remind myself what an awful mess they made of such a well known game. It has cartoonish characters with animal names making grunting sounds from which you are supposed to judge whether they will honour their word. I think they abandoned it quickly and gave the rights back to Hasbro or whoever.